Inspiration for your next event • How can we assist you? 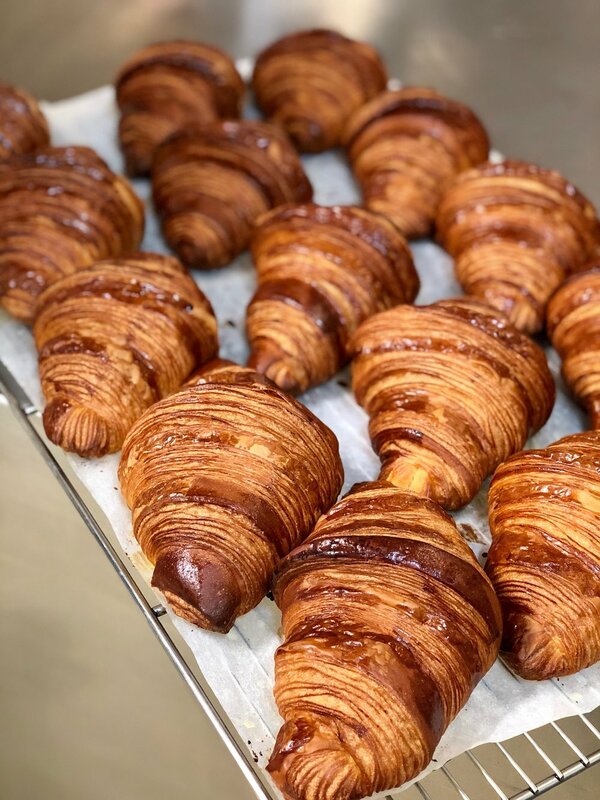 Chouquette offers a range of catering options to assist you with an authentic, high quality French touch for any private or corporate function you may be organising. • Savoury and sweet products: We can assist with your home, office and business catering needs with an extensive range of high quality savoury and sweet products to choose from. • Sandwich platters, canapés, quiches, salads and sweets: We offer a full range of sandwich platters, canapés, quiches, salads and sweets to meet your individual needs. • Diary free, nut free and gluten free options: If you have special dietary requirements to cater for, let us know as we always have diary free, nut free and gluten free options. • Personalisation: Ask us to personalise your cake with a plaque to celebrate the occasion. • Custom requirements: Please discuss any particular custom requirements you may have with our team members as other possibilities are available to suit you. Whether you are organising a training day, executive breakfast meeting or a social gathering we have a range of options to ensure there is choice for everyone. Selection of mini viennoiserie - croissant, pain au chocolat, pain aux raisin and mini almond croissants. Price range $2.70 to $3.80 per item. Selection of full size viennoiserie - croissant, pain au chocolat, chausson aux pommes (apple turnover), pain aux raisins and almond croissant. Price range $4.30 to $6.30 per item. Savoury quiche or croissant viennoiserie - individual quiches or savoury croissants (either ham and gruyére cheese or mushroom béchamel). Quiches $6 each and savoury croissants $8.80 each. Note: Items can be served on a disposable platter/tray, or in boxes depending on your requirements. When a more substantial meal is required, we offer the following selection. Define the exact quantity and items you need to suit your occasion. Quiches or savoury croissants - A selection of individual quiches or savoury croissants (either ham & gruyere or mushroom béchamel). Quiches $6 each & Savoury Croissants $8.80 each. Filled baguettes - A selection of filled baguettes, which can be cut in half and arranged on a disposable tray. Please discuss with our team the sandwich fillings available. Minimum order: 5 baguettes @ $9.00 each. Whole size quiches - We offer a selection of whole size quiches. These are perfect for an easy meal at home, for entertaining friends and family or a work team lunch. Paired with a green salad and/or fresh baguette, it makes for light work and a delicious meal. A selection of fresh breads and bread rolls - If you are having a whole ham or slow cooked meat, serve them with our fresh breads or our brioche sliders. Brioche burger buns and slider buns - Complement your BBQ with a selection brioche burger buns and slider buns. Note: Most of these items require only a few minutes in the oven to warm through, allowing you to spend more time with your guests. 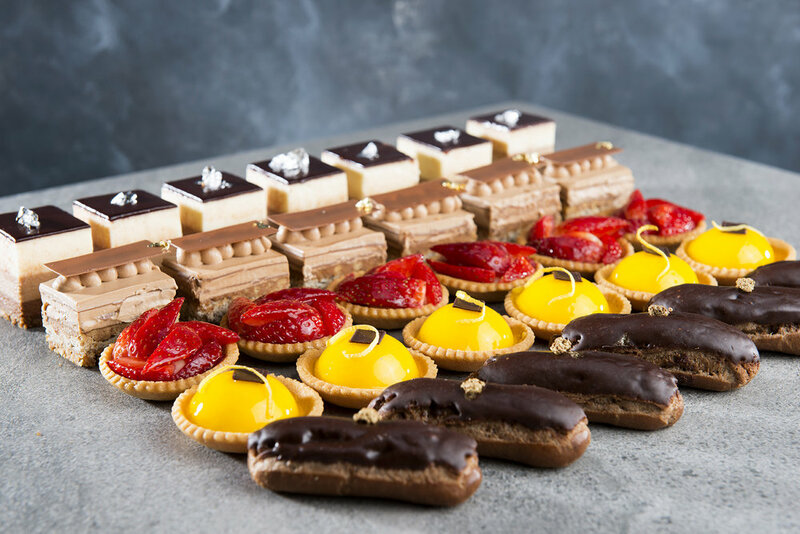 Whether you require something grand for a very special occasion, a whole tart or gateau for a meal or a selection of petit fours for a high tea or function we can offer you a full range of products to suit you. A range of epicerie items (Delicatessen items) - We offer a range of epicerie items which are perfect to offer guests with tea or coffee - madeleines, praline biscuits and nougat. These are also excellent to offer as gifts. Gateaux and entremets (Cakes and desserts) - Our gateaux and entremets are available in a variety of sizes for larger functions. Please discuss your requirements with one of our team members. Choose a dessert centrepiece - order one of our cakes, tarts or consider a croquembouche or macaron tower. Note: Our desserts are available in various sizes to accommodate all of your catering needs. Please ask for additional information regarding our Croquembouche and Macaron Tower.